This post is sponsored by Mirum. However, all thoughts and opinions are 100% my own. Headscarfs are all the rage, and trendy this season! You not only see them worn on heads, but tied on bags and more! 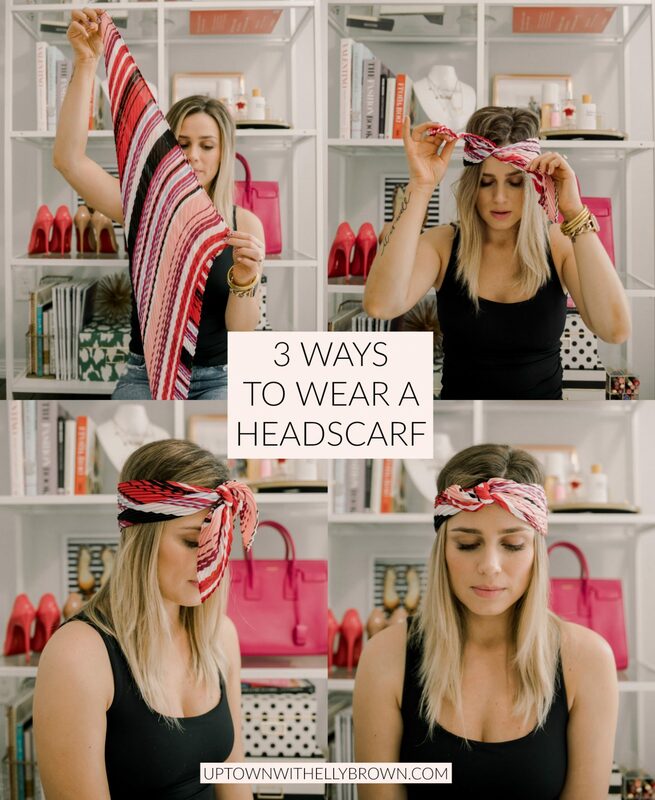 But today, I wanted to share 3 ways to wear a headscarf. These 3 different hair looks are so easy; it’ll leave you running to do them yourself! Let’s first cover your basis, because behind… or I mean underneath a right hairstyle, is a solid foundation of GOOD products that will help you achieve your dream hair. I have recently been using the Suave Professionals Coconut Oil Infusion Damage Repair Shampoo & Conditioner. You know me, if it’s got coconut oil, I am using it! Coconut oil has so many great benefits, not just health wise, but even for your hair! 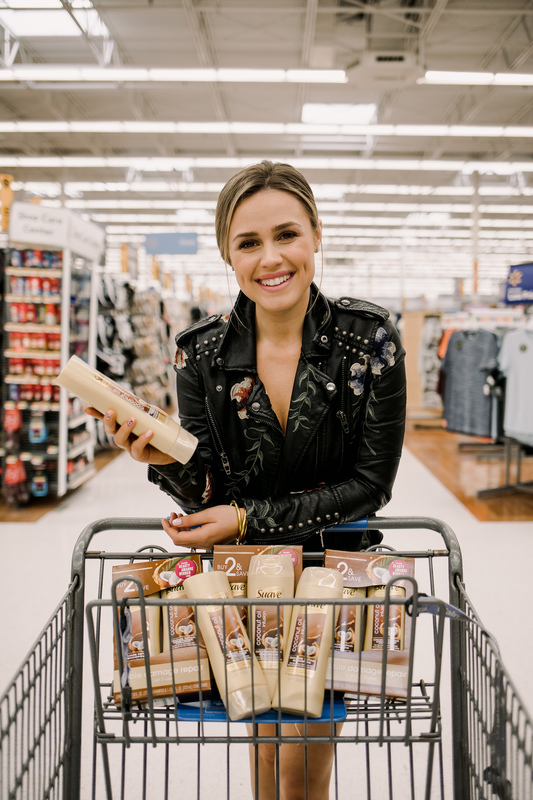 My motto has always been prevention is key, and even though my hair isn’t necessarily “damaged.” I do add a lot of heat to my hair, so I like using a damage repair shampoo and conditioner like Suave Professionals Coconut Oil Infusion Damage Repair to keep my hair in tip-top shape. The Suave Professionals Coconut Oil Infusion Damage Repair Shampoo & Conditioner visibly repairs hair damage in just three uses WITHOUT weighing my hair down. It also has been great with smoothing my hair and taming those flyaways! I also love flipping my hair throughout the day and getting a whiff of the long-lasting fragrance. Best part- it’s suitable for all hair types!! I found the dream duo at Walmart, but you can them order online too! And right now, Suave shampoos and conditioners (28 oz. sizes ONLY) will be $1.00 off (regular price $4.98; Rollback price $3.98) at walmart. 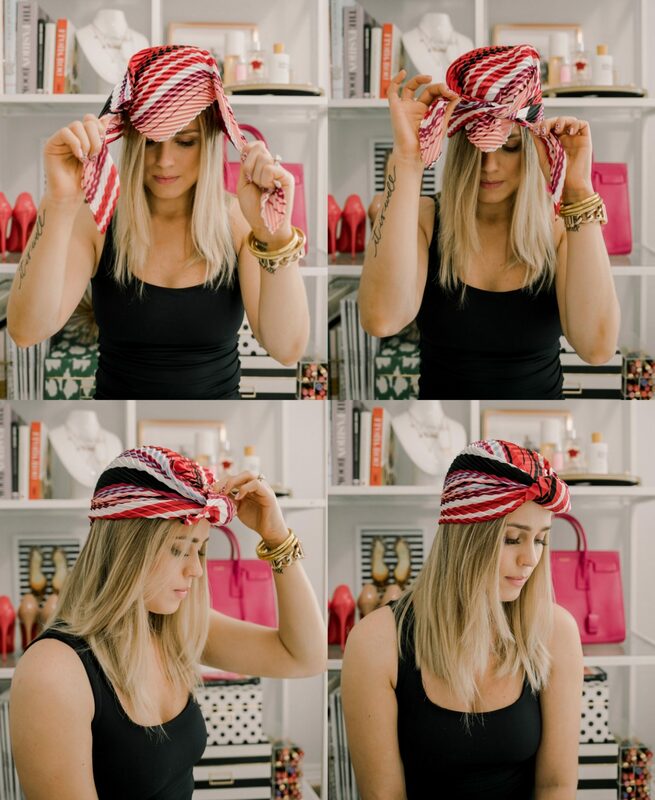 This way to wear a headscarf may be the easiest but THE chicest way of all. 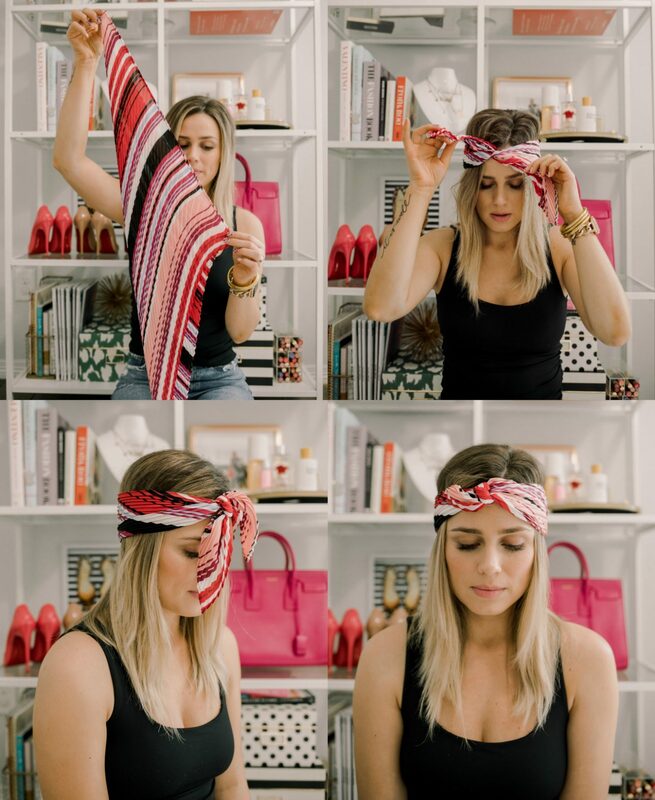 The key thing here is to not just tie your hair with the scarf but first to secure it with a hair tie, this will help with preventing the scarf from sliding! For this second look, make sure to double knot the headscarf and tuck in the loose ends underneath the scarf. This last look may be the most complicated of all, but still, so much fun, especially if you’re at the beach! Start with your headscarf folded in half in a triangle. Lay the scarf on your head with the point of the triangle on your forehead. Double knot the loose ends, and then bring the loose triangle end up and behind the knot. Comment below, which look is your favorite? Thank you so much for stopping by, have a great day! WANT TO SEE MORE HAIR TUTORIALS?